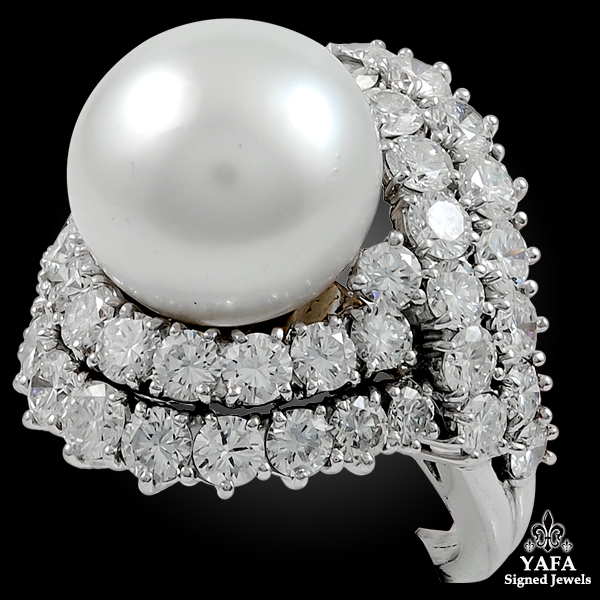 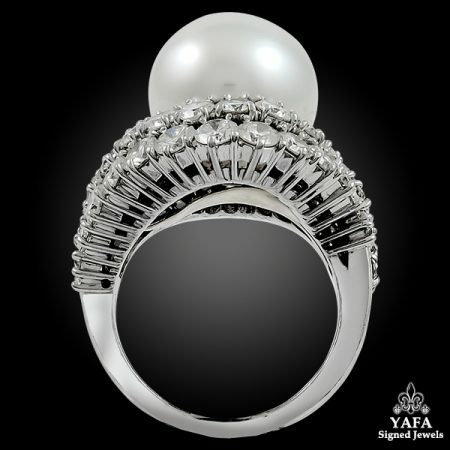 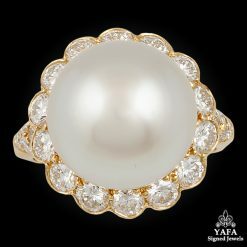 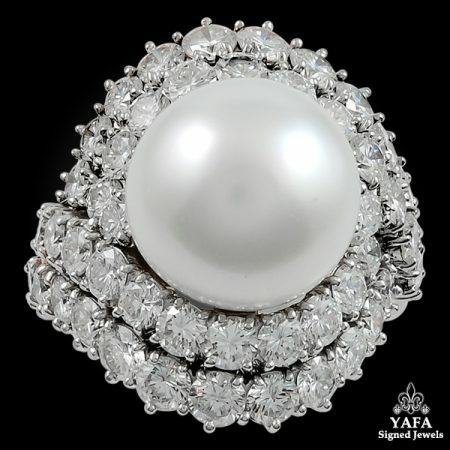 Centering a stunning cultured pearl measuring approx. 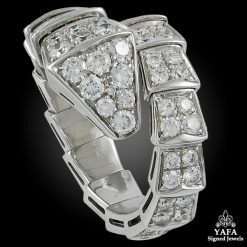 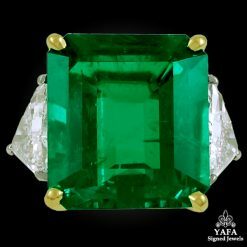 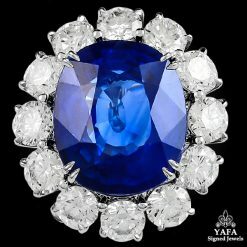 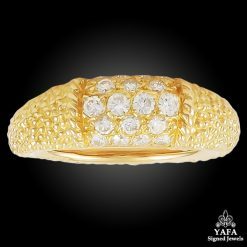 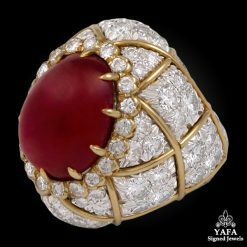 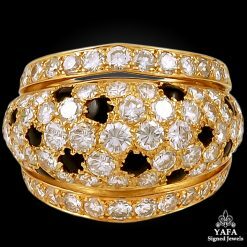 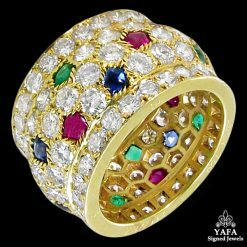 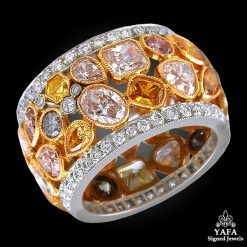 13.3mm, within a cross-over round diamond setting, this extravagant Van Cleef & Arpels ring is comprised of diamonds weighing 5.30 cts. 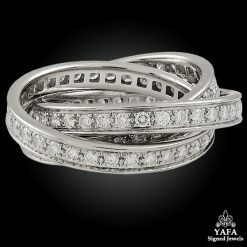 finely mounted in platinum.